Toy Story, Bug’s Life, Monster’s Inc., Toy Story 2, Finding Nemo, Cars, The Incredibles, Ratatouille and now WALL-E. The folks at Pixar have figured something out. They have managed to recapture an audience that was starving for the simplicity and humanity found in the cartoons of 40 years ago. Cartoons had devolved into flashing whizbang, bubblegum storylines, and whining characters all aimed at selling cereal and figurines. Not that you can’t buy a Mike and Sully doll at Disney World, but the story is first. Pixar has succeeded in mirroring the Warner Brother and Hanna-Barbara toons that had something for children and adults. There were always two (or three) levels one could watch Wile E. Coyote on — sly jokes that no six year old could get. Pixar became the modern home of this wit and added technical know-how to slicken the deal for those who are accustomed a polished product. WALL-E is the last of a group of robots left on an abandoned earth. Hi job is to consolidate the massive heaps of trash into cubes and stacked into skyscrapers of junk. There’s just one thing — this robot has developed a personality, and he’s lonely in the vastness of space. Then another robot (Eve) lands and his life changes. It is amazing how many subtleties are entirely understandable from a little box and few squawks and chirrups. WALL-E proves to be a nice a being as there could be. He is incredibly sweet to others, generous, curious and heartfelt. He is not perfect and sometimes his remarkable sincerity gets him into trouble. But it is these pitfalls of the naive that make him all the more sympathetic. And lovable. 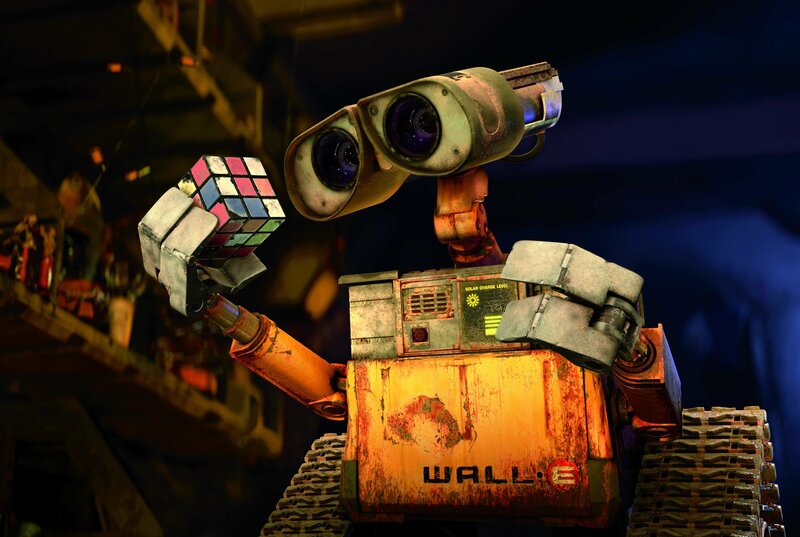 WALL-E manages to steer away from overt sentimentality, for the most part, and focus on the characters. The only slight weak point of the film is a somewhat overly simple plot. After WALL-E boards the Axiom spaceship in search of his love, Eve, and we learn that Earth has been abandoned there is a lag in the storytelling. The good guys run from the bad guys, then get caught, then escape and try again — one too many times. There were a few minutes where plot movement seemed suspended before it picked up again for the adventurous ending. They did a fine job, however, balancing the clear environmental message / warning with humor and innocence. 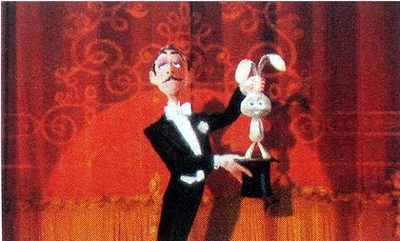 Pixar has also resurrected the tradition of showing animated shorts before their features. The one accompanying WALL-E, “Presto” is their best since “Birds on A Wire.” It’s frantic, energetic and very funny.